There is no better way to start off the spring season than taking the time to clean your house from top to bottom. Not only will it help to make your house shine, but it can also help reduce any spring allergies that you have. If the smell of harsh cleaning chemicals irritates your allergies, keep these green spring cleaning recipes in mind to help get your house looking its best. Bathroom tile and countertops – mix 2 parts vinegar and 1 part baking soda with 4 parts water. Apply the mixture with a sponge, scrub, and then wipe away. Glass – mix ¼ cup vinegar and 1 tablespoon rubbing alcohol with 1 quart of water in a spray bottle. Spray on glass, including bathroom mirrors, and wipe clean with a lint free cloth or newspaper. Floors – mix 4 cups white distilled vinegar with one gallon of hot water. If you want to avoid the strong scent of vinegar, add a couple drops of lemon or peppermint oil. Use the mixture to mop your floor. The smell of the vinegar will disappear very quickly, only leaving the smell of the oils. Wood furniture – mix equal parts olive oil and lemon juice, and apply a small amount to a cloth, and run onto the furniture in long strokes. 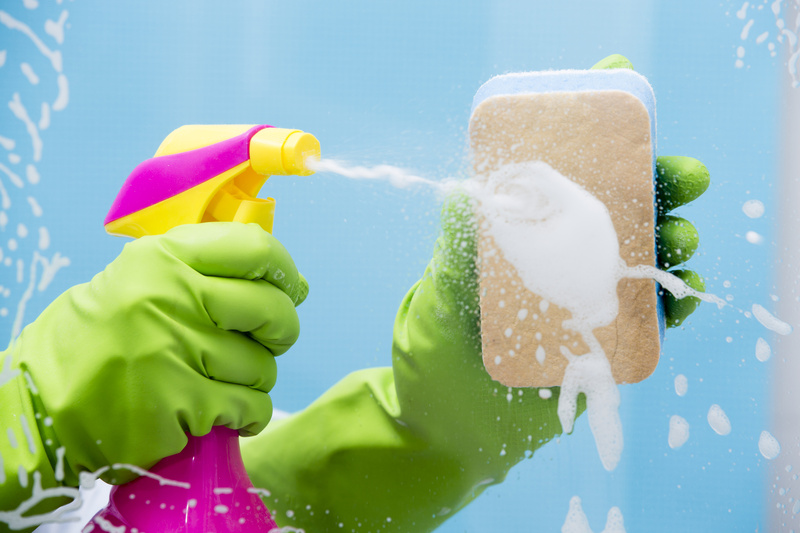 Disinfectant – mix 4 tablespoons vinegar, 2 tablespoons borax, ¼ teaspoon liquid castile soap, and 3 cups hot water. Wipe onto a surface with a dampened cloth or use a spray bottle, and then wipe clean. Toilet bowl cleaner – sprinkle baking soda onto a toilet brush and scrub the bowl as you typically out. Wipe the outside of the bowl with vinegar. To ensure that your newly cleaned house is protected with the right homeowners insurance coverage, contact Gee Schussler Insurance Agency in Orland Park, Illinois.